Need a Web Designer & Website Design Services In Rotherham? Your Creative Partner, To Bring Your Rotherham Business To Life Online! Lets Create Something Awesome Today! AJR Designs / Web Design Rotherham have many years of experience in the Web Design industry providing web design services to clients throughout Rotherham, South Yorkshire. We are Web Designers and Website design specialists and this is our passion and our focus. We are creative thinkers and focus on (UI) User interaction and (UX) user experience design with design being the focus point to user engagement and the overall user experience when visiting your website. Unlike many other web design services AJR does not only focus on getting you a website online, we make it our mission to incorporate stunning graphic design and creative photography to make your website unique to your business. The branding for your business can sometimes be more appealing to a customer; rather than your own service or product! Therefore, We provide a variety of business print designs that include things like: logo design, business cards, posters, flyers, and other printable items. Flyer / leaflet design are a good way of connecting and engaging directly to your potential offline audience. Every day we receive flyer / leaflet design posted through our letterbox from various businesses, pizza / kebab shops to furniture companies they’re all there. 99% of these flyers go in the bin, so what is the point in paying for a flyer? Whether they’re for direct mail, door drops, handing out or leaving in prominent places, AJR creates leaflets and flyers that demand attention. The purpose of a flyer / leaflet design is to associate product recognition with your business, therefore if somebody needed a particular product, they would automatically know which business sold that product due to good marketing campaigns. If for example, you sell computers and create a flyer which heavily lays emphasis on your business association with computers, anyone that reads that flyer will automatically have computers and your business linked in their subconscious. When they need a computer in the future, your business will be a candidate for their custom. AJR also offer pay monthly website packages, if your on a tight budget or your web project is out of your budget, not to worry we can work with you developing your website while you pay monthly instalments. Are you a start up business..? Do you have a business concept and ideas but unsure of how to get you brand and online identity started, Don't worry AJR can help. We offer a Start-up package that includes a business logo and website and also a business card design, everything you need to get started engaging with your potential clients. Professional, modern and highly usable – those few phrases perfectly describe our websites. AJR watch current trends and standards and apply them to your web projects. Our user-oriented websites are both user friendly and delightful to look at. AJR's work focuses on creating clean, effective & cost efficient solutions for today’s demanding visual & interactive market with a personal touch and message to your design, with knowledge & expertise in photography and graphic design, along with web design & i-media development, AJR are able to bring a dynamic range of creative solutions to life – which is truly a beautiful thing! Our creative & technical understandings in a variety of mediums better helps you to get your message further more efficiently. 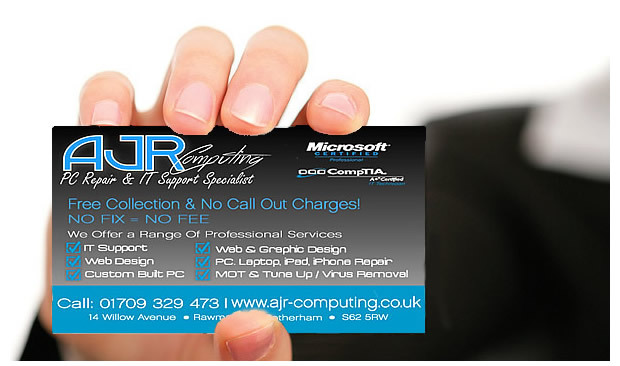 AJR Designs - Rotherham Web Design is your local Web Design agency in Rotherham. 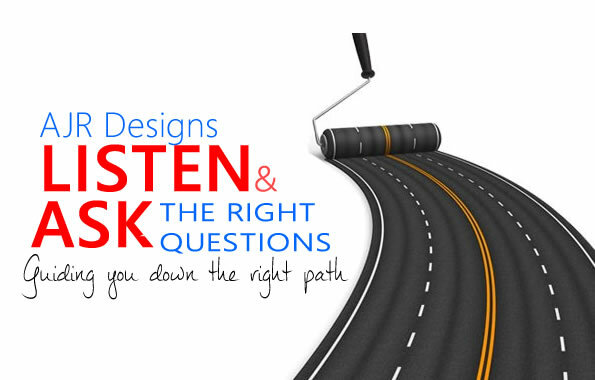 We provide a complete and comprehensive range of design services to meet your needs. We are dedicated to bringing your ideas to life and designing your project effectively. We guarantee top quality work with all our web design services and ensure professional and efficient services that you require from us. make it happen, our skilled and highly trained web designers can help. So if you are you looking for a specialist web designer and web design in the Rotherham area? You have found it!, contact AJR and we will provide you with the exceptional web design services you are looking for! please don’t hesitate to contact us, We keep it simple so you understand every step of the way. Our Web Design Process, AJR Keep You Informed Throughout The Project, We also Provide Great Aftercare! I felt at ease with the personal yet professional approach, In designing our website! Andrew provided a fast, efficient and friendly service that I’ll have no hesitation using again! A good, reliable, personal and honest service. Highly recommended! Andrew at AJR Designs did a fantastic job designing my Business Logo Tip Top Home Décor. I gave all my ideas to Andrew at AJR Designs. The service was top quality. It was turned around within a couple of days, And designed just the way i wanted, I did not know were to start when setting up my business & Andrew also put me in touch with a business mentor from RYE, Andrew was upfront and honest, genuinely out to provide a quality service for a very reasonable price. A good, reliable, personal and honest service. Highly recommended! I will be having my website developed also.